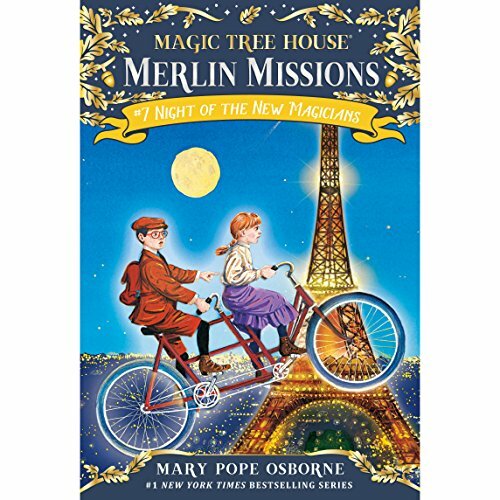 A mysterious note from Merlin sends Jack and Annie to Paris, France, for the 1889 World's Fair. Their mission: find four "new magicians" and protect them from an evil sorcerer who plans to kidnap them and steal the secrets of their magic. When Jack and Annie arrive at the foot of the Eiffel Tower, they find exhibits from all over the world and thousands of people attending the fair! How will they ever find the magicians in the bustling crowd? And will their own magic be any match for the powers of the evil sorcerer? Find out in another Merlin Mission filled with mystery, history, and amazing surprises! I love this book I want to read it a lot this summer and every single day. I enjoyed listening to several of L ao aLlÀ poo 67uu7u6u ok kkkkkq1 lo Koo like o, Merlin and Camelot.